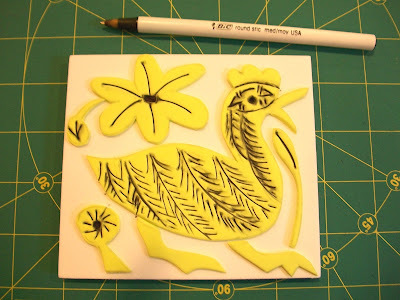 As promised...the craft foam bird block. The original design was based on one of Katherine's Mexican embroideries. 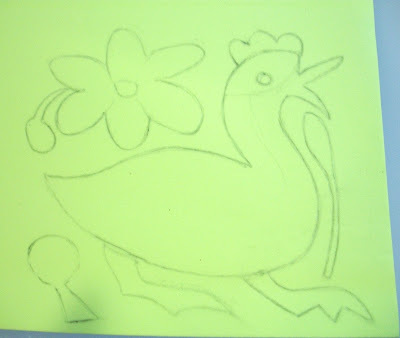 I made a tracing. 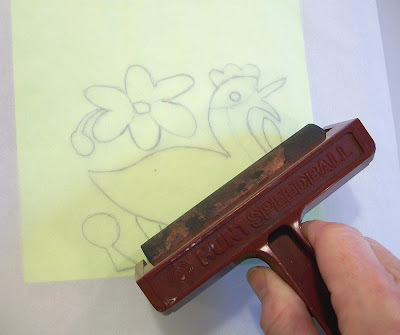 I transferred the design to a sheet of adhesive craft foam using a soft rubber brayer. 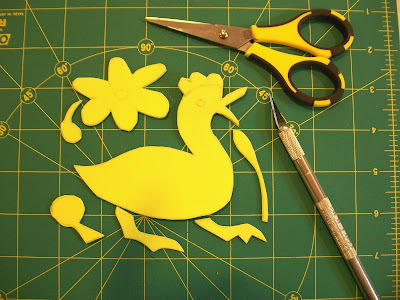 I then cut the individual pieces out using a pair of small sharp scissors and an X-acto knife. After pulling the paper backing off the adhesive craft foam, I arranged the pieces on a piece of thicker craft foam. 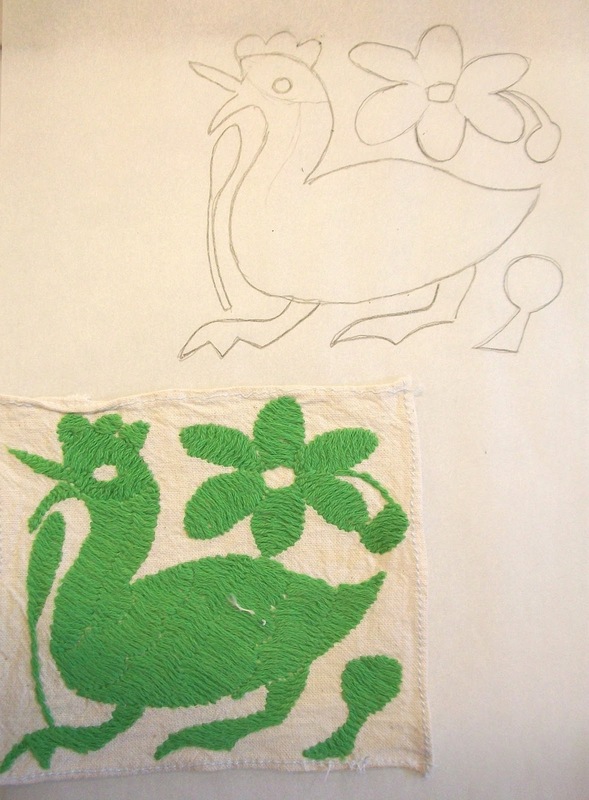 To mimic the texture of the embroidery stitches, I used a ballpoint pen to emboss the craft foam. I mixed up some colors using Opaque Pebeo Setacolor fabric paint and rolled them out with my foam Rollrite brayer. 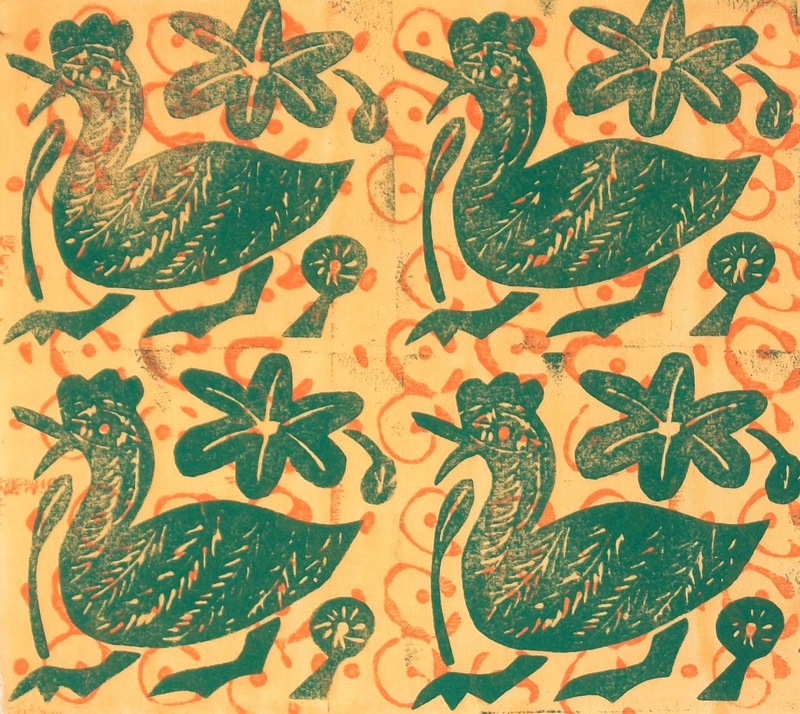 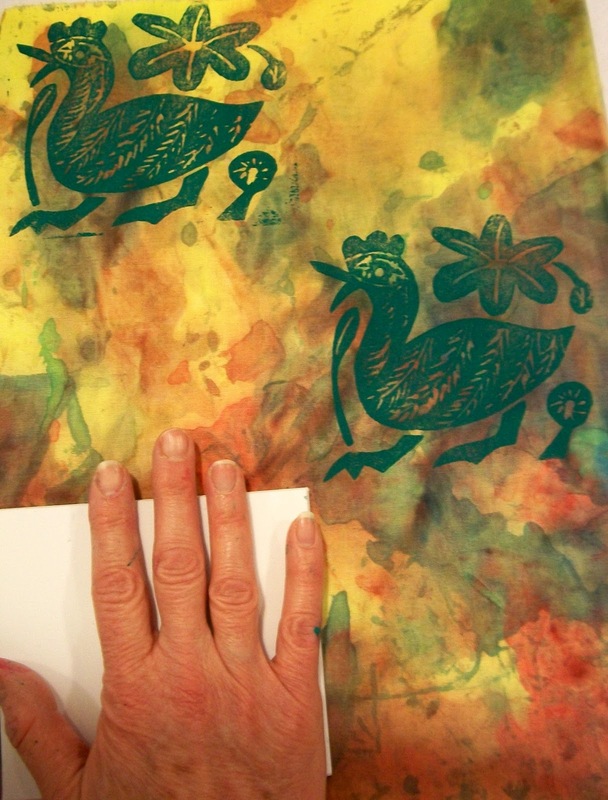 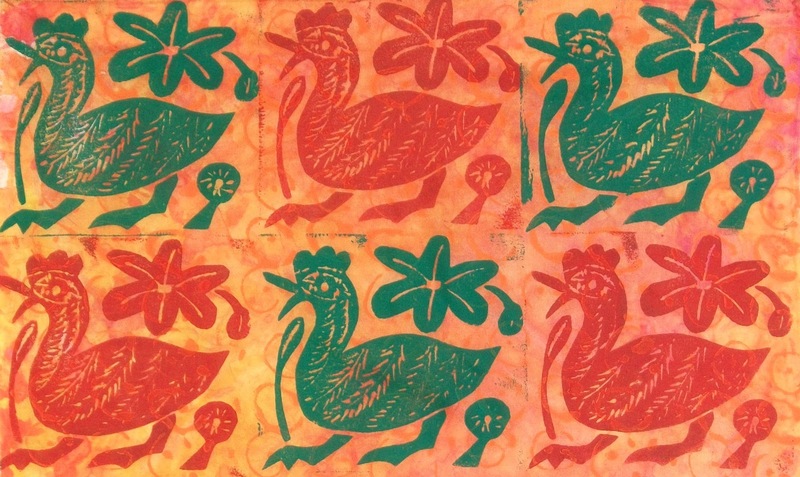 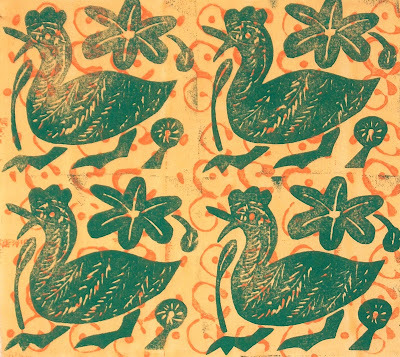 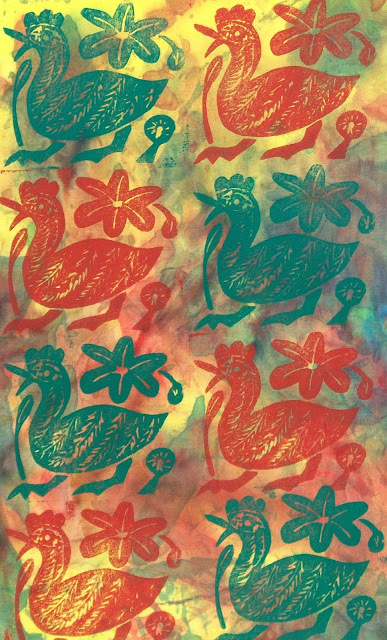 Printing some birds: the background of this piece was a wipe up cloth. 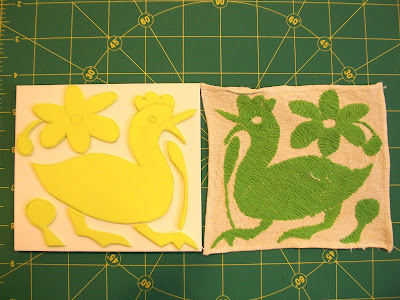 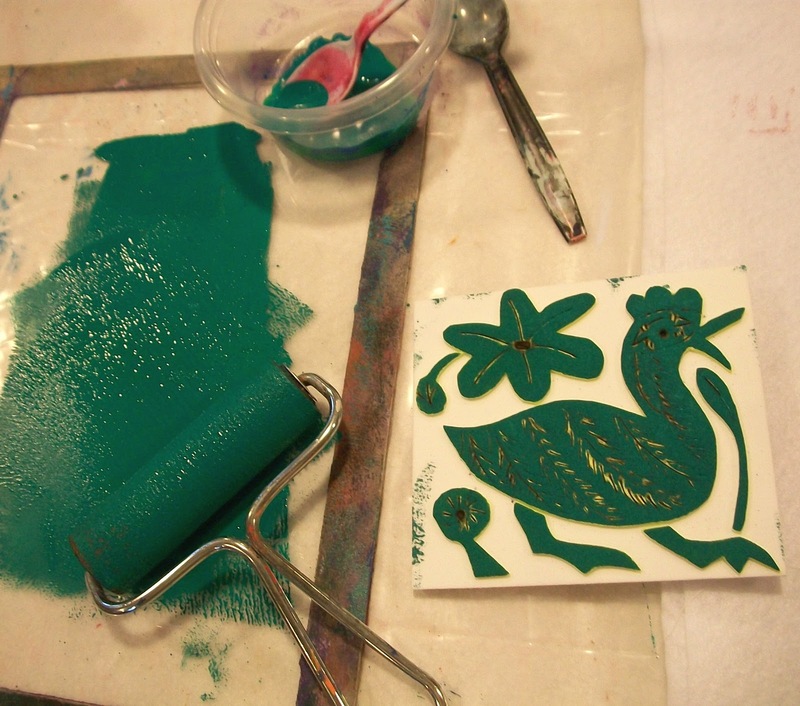 On this piece, I also used a wipe up cloth and overprinted with a hot glue block before using the bird design. This last design also combines the hot glue block with the bird block. 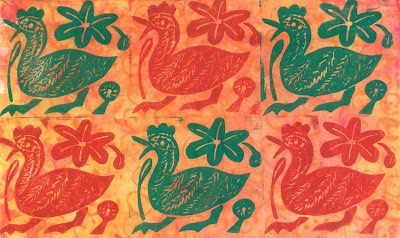 Tomorrow, I'm off to Savannah to visit my folks. 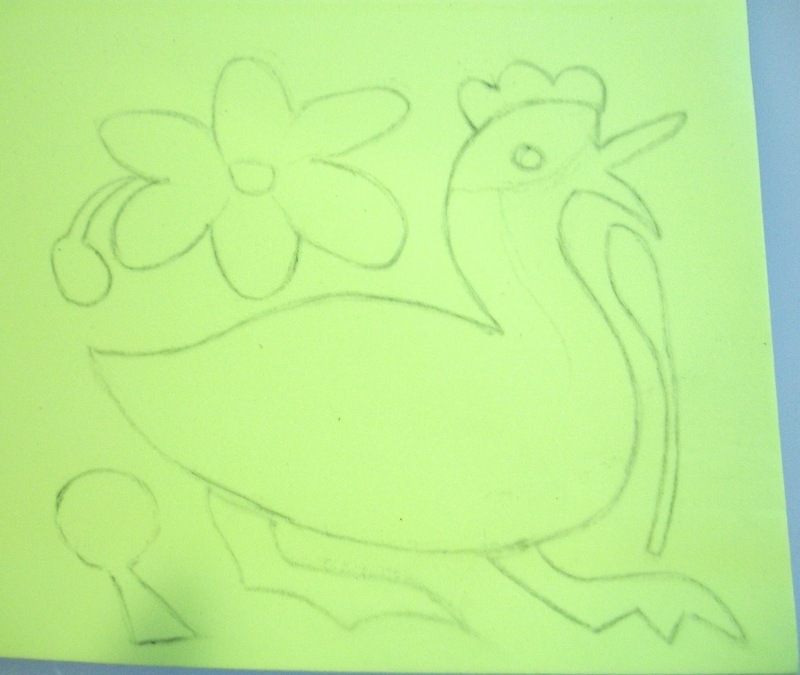 The blog will continue. I'm looking forward to seeing what surface design inspirations Savannah has to offer.